Delaware Department of Education offers free SAT test for high school juniors | Back to Basics Learning Dynamics, Inc.
For the first time ever, on April 13, 2011, the Delaware Department of Education will offer the SAT test free to all public high school juniors. This is being made possible by a federal grant close to $1.8 million through the Race to the Top program. Over the next four years, approximately 9,000 students per year will take the College Board exam. 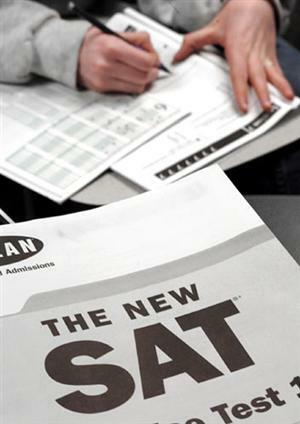 The only other state implementing a similar program of the free SAT is Maine. However, they are offering the test on a Saturday. Delaware is taking things a step or two further to make the test blend with the routine school day with no additional effort on the part of the students. The exam is being given on a Wednesday and each student will take the test in his/her own school, not by reporting to a designated test site. Delaware’s goal is to provide an equal-access opportunity for all its students to take the SAT and is not necessarily concerned with how the state ranks in standings. In an effort to expand the program even further, the Department of Education is working toward every student being able to take the PSAT exam in the appropriate grade as well. Delaware high school juniors and seniors: SAT scores are in. Do you need SAT prep classes?